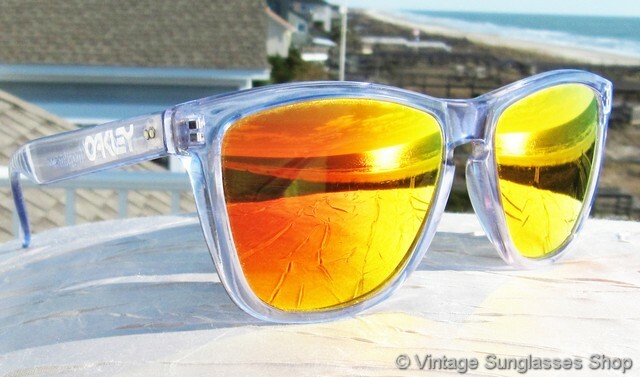 Vintage Oakley Frogskins sunglasses are the first generation release with a beautiful Clear frame that fosters shimmering translucence in the sunlight along with stunning, highly reflective Oakley Fire Iridium lenses. 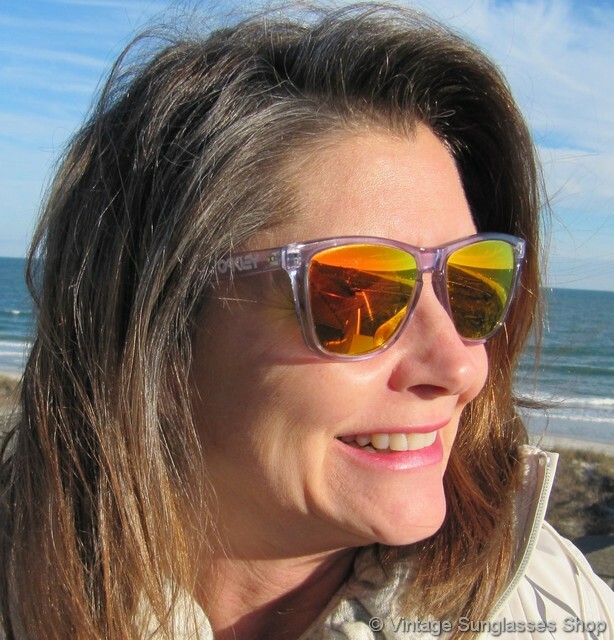 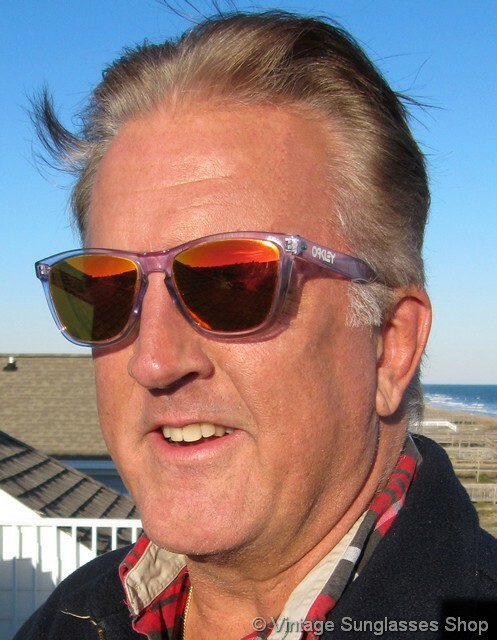 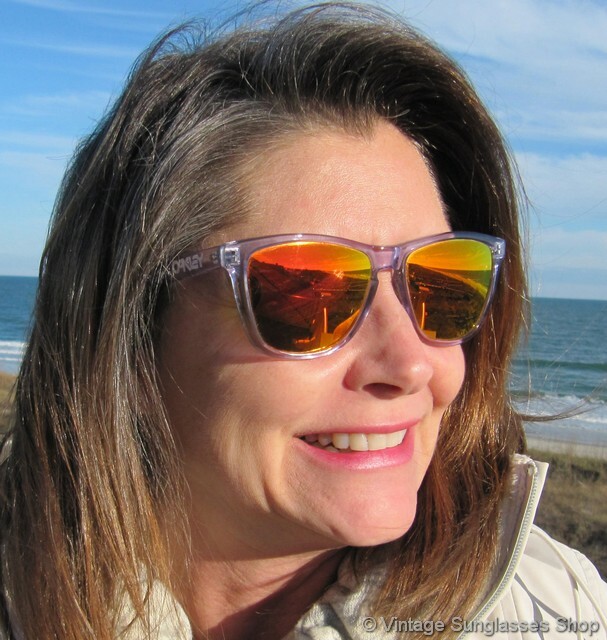 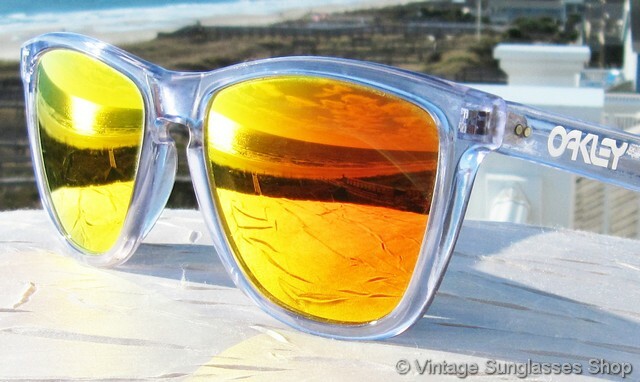 While vintage Oakley Frogskins were produced in a wide variety of frame and lens color combinations, it's hard to beat the look of the crystal clear frame with these Fire Iridium lenses that pick up plenty of hues of orange, red, and yellow out in the sunlight. 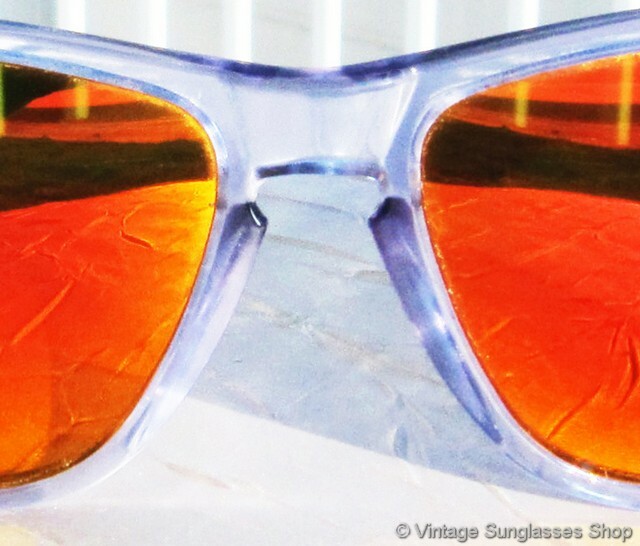 Ronald Reagan was in the White House, “The Terminator” was in the box office and Run-D.M.C. 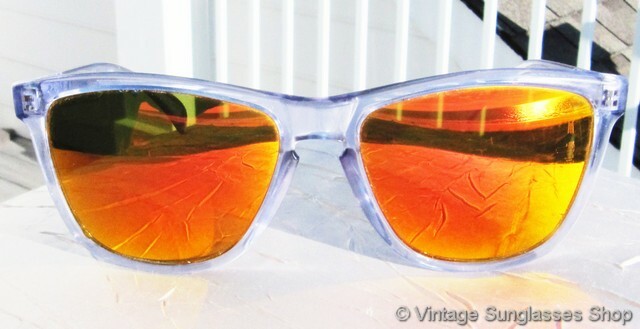 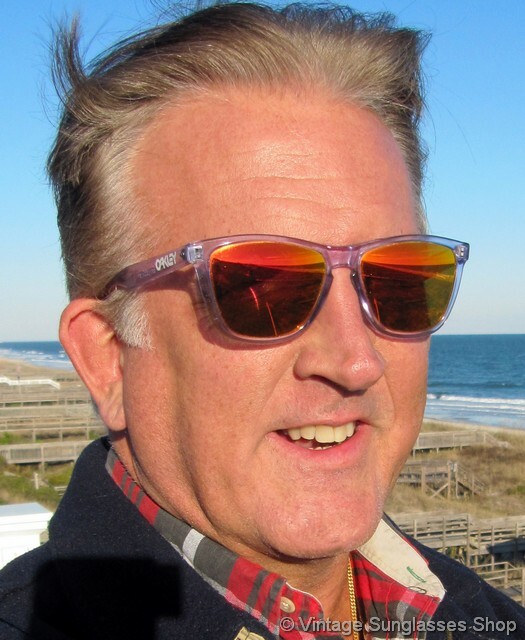 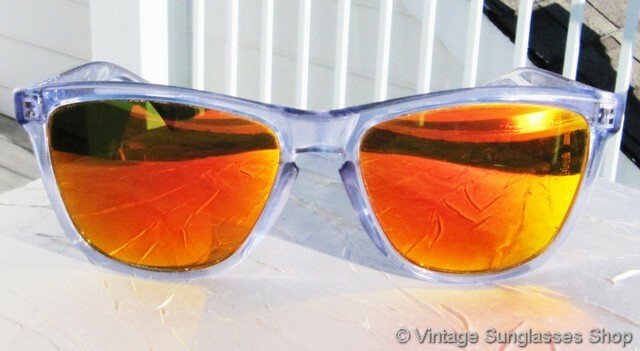 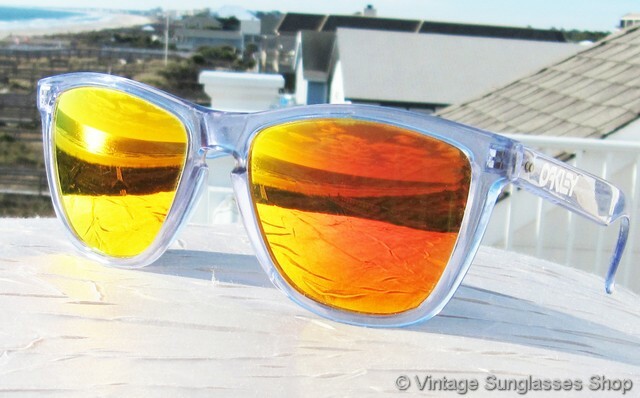 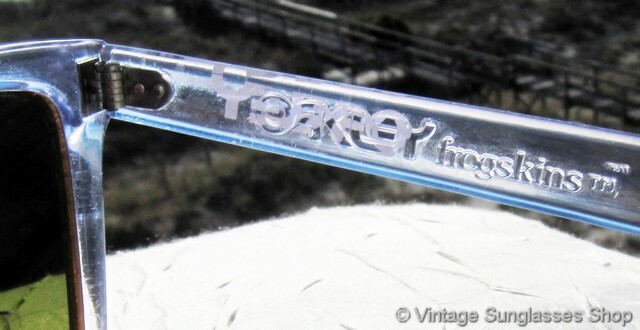 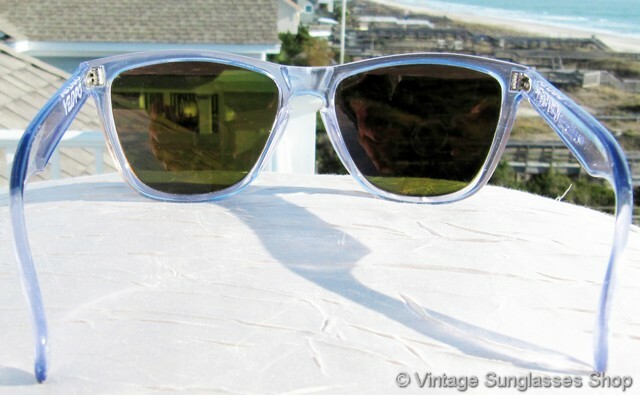 was in certified gold when Oakley introduced their iconic Frogskins sunglasses in the 1980s. 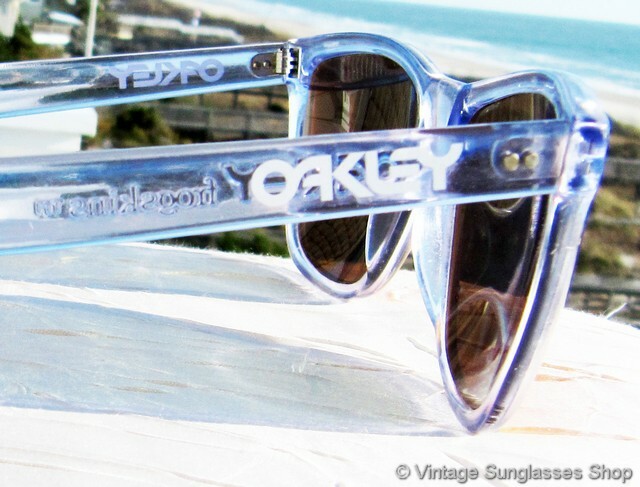 The unisex Oakley Frogskins frame measures approximately 5.5" temple to temple, and the lenses measure approximately 2.125" x 1.675" at the widest points. 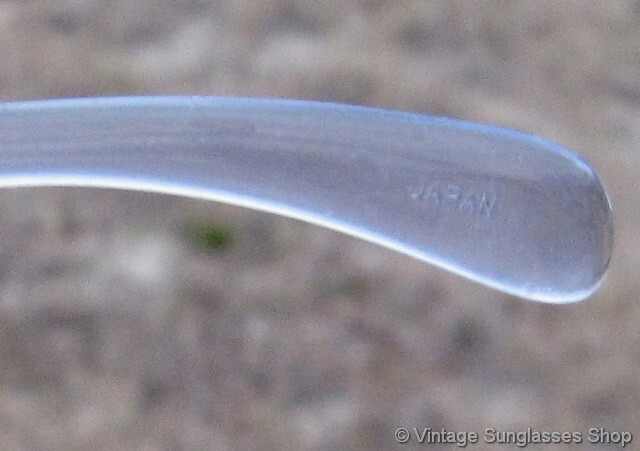 You'll find the Oakley logo embossed on the exterior of both ear stems, and the inside of one stem is impressed Oakley Frogskins TM while one ear pad is impressed Japan.